For The Community Builders (TCB), one of the nation’s leading nonprofit real estate developers, The Narrow Gate designed one floor of its office space at the TCB headquarters in Boston. What had been a series of isolated rooms with limited daylighting was reconfigured into a design of private and open cubicle areas where almost all of the offices benefited from natural daylight and visual communication from the corridors to offices. 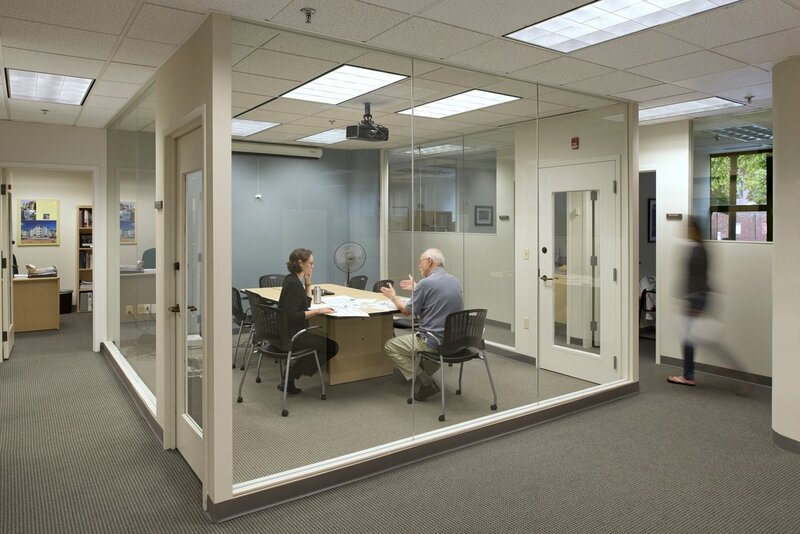 Central to the new plan is a glazed conference room providing acoustic separation and visual transparency. The design also features a reception area, break room and swing space for visiting staff.